Cooma Car Club’s first hill climb of the year is this Sunday, March 24. Around 30 entries are expected, including from the ACT and other parts of NSW as the reputation of the event and the club spreads. Of special interest is the MG TC Milano from Ralph Pauperis of Anglers Reach. The MG T series were a range of open two-seater sports cars, manufactured by MG between 1936 to 1955. Ralph’s Milano has an interesting history. The car was originally a square rigger TC, raced extensively in northern NSW using methanol and a supercharger. 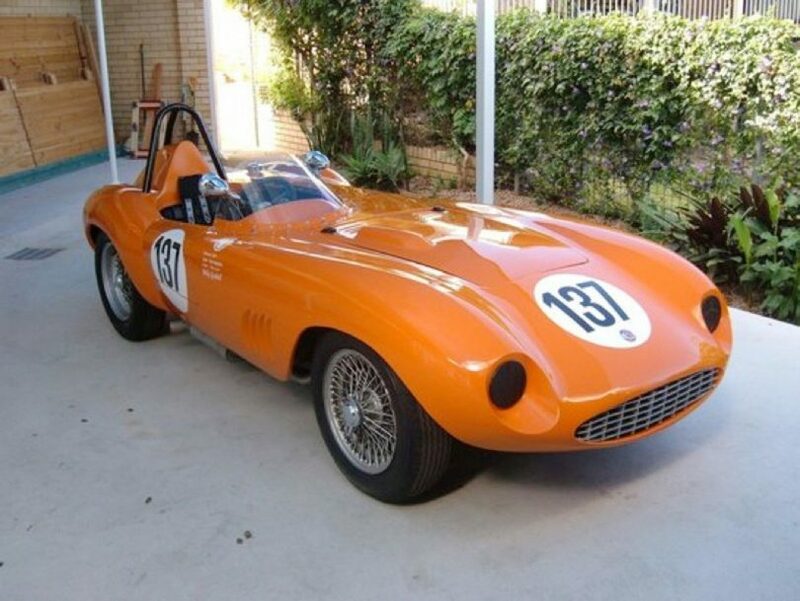 Unfortunately, it was involved in a racing accident and was then acquired by Owen Maguire of Alstonville who fitted the Milano body and raced in the early 1960s as a naturally aspirated 1500cc. The car holds the under 1500cc LB Sports Racing track record for the Oran Park Short Circuit. Ralph’s son Daniel will be driving Ralph’s other car, a Porsche 924 Turbo in Sunday’s hill climb. 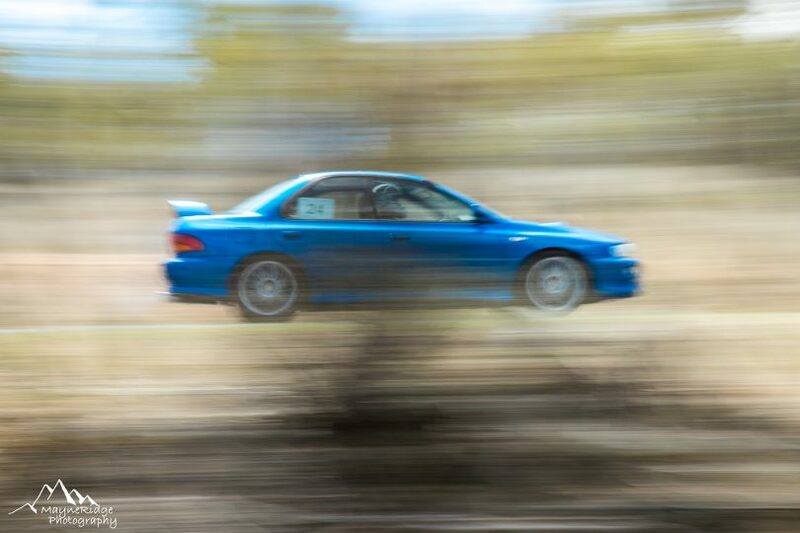 Subaru WRX ‘going for it’ at the November 2018 hill climb. Photo: Mountain Ridge Photography. The most closely contested class looks like being the Type 3 over 3000cc Class with entries including Daniel Pauperis in the Porsche 924 Turbo, a Volvo 242 GT that is being shared by Matt Rowlinson and Tony Brown, and Sean Martin in a Mazda MX5. The fastest cars will reach speeds of up to 170 km/hr, completing the 1 km course in just under 40 seconds. A number of early chicanes and bends ensure safety with competitors then able to enjoy the ‘power climb’ up Mount Gladstone. All entrants can expect a minimum of four 1km runs. The Mount Gladstone Road track is approximately 4kms west of Cooma off the Snowy Mountains Highway. Hill climbs will run between 9:30 am and 4 pm on Sunday. Spectators and families are very welcome and can come at any time. A courtesy shuttle bus will run all day taking people from the bottom to the top of the track and back again after each run. There is no charge for spectators and food and (non-alcoholic) drinks will be available. Check the Cooma Car Club Facebook page for more info. 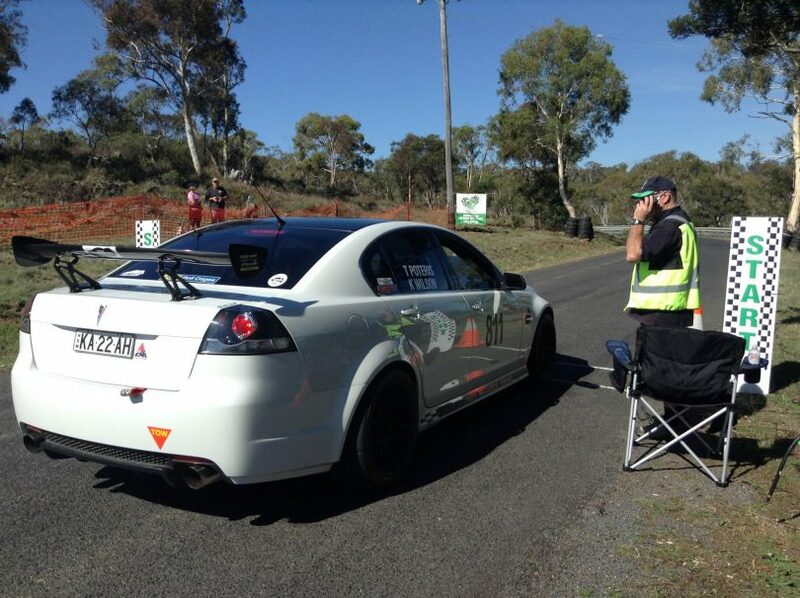 Holden Commodore SS at the start line. Photo: Jo Helmers.